Green Powered Technology Makes 2018 Inc. 5000 List of Fastest-Growing Private Companies. 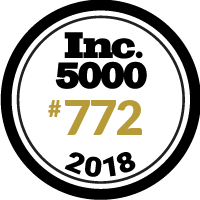 Green Powered Technology ranked #772 on Inc. magazine’s list of 5000 fastest-growing private companies in the U.S. in 2018. GPTech’s ranking is based on a revenue growth of 650% over 3 years. 2018 marks GPTech’s first appearance on the Inc. 5000.